Who has time to entertain? You do. Here are some ways to have fun with friends with less work in less time. 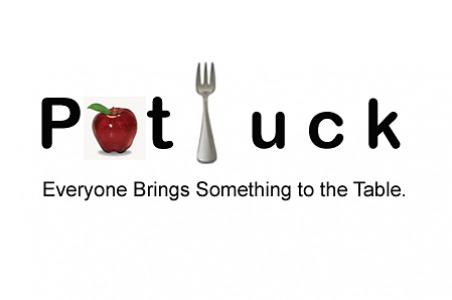 Throw a potluck. Divvy up who brings what so that the menu is evenly shared. If you hate to cook, buy. Or do a little of each. Re platter catered or store bought items on your own serving ware and who’ll know and who cares? You’ve just given yourself the gift of Time! Your assurance against forgetting a coveted ingredient is to gather all your recipes and make your shopping list by grouping ingredients; dairy, fruits, vegetables, meats, etc. Since you’ve already done the calculating you can zip down the aisles when food shopping according to the lay of your supermarket. Cook ahead—way ahead. Think through some of the dishes you’ll want - then cook and freeze. When preparing hors d’oeuvres, consider preparing double and again, freezing one of the trays for another night. Once your guests have been invited, take care of the following tasks. Evaluate your supplies—do you have enough plates, napkins, and flatware? If not, decide whether to buy or rent, or to use paper or plastic. (There are now new beautiful designs and stock that are more festive than ever before.) Don’t overlook powder room soap and towels. Will you need a coat rack and extra hangers? Does your table need a quick run to the dry cleaners? What can you stock up on and have delivered? Ice? Wine? Flowers? Take advantage of venders and services that will bring it to you. Divide and conquer. Make two lists: a do-ahead list (buy paper goods, nonperishable’s, and other similar items.) and a day of list (time table (really helpful! ), cooking reminders, final house straightening, and so forth). SMART IDEA: Pre-wash and polish serving pieces and utensils. Take a few minutes to decide how you intend to use the serving pieces (fish fork and knife with fish platter.) Then add a post-it with what you are serving right on the serving piece. This takes the thinking out of the serving time and helps your helpers in the kitchen. Discard the note before serving—of course! Keep a to-do list in the kitchen during any party. That way when you are refilling the hors d’oeuvres plate and talking to someone, you can still grab a quick look at what else needs to be done. Don’t whine over spilled red wine. Instead try this: SALT - who knew? Start an Entertaining file. Maintain an invitation list, vendors, contact info, menus, and post-party notes on what worked well and what you would change for next time.